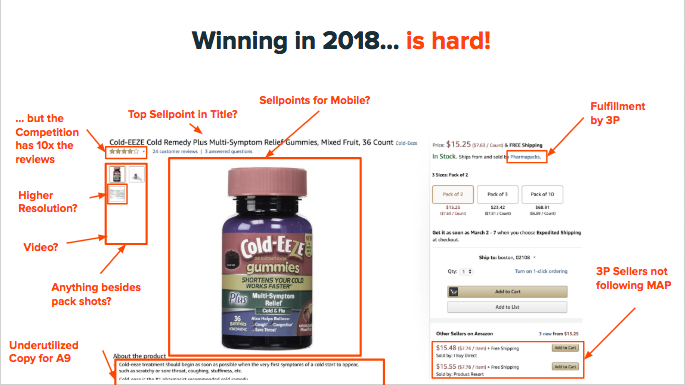 Whether you are selling on Amazon today and want to optimize your presence or you are just getting started – you know it’s a challenging sales channel to grow on. Content26 co-founder Mark White joined Salsify co-founder Rob Gonzalez in a recent webinar, Build the Best Amazon Experience, to discuss these challenges and share how leading brands are thriving on Amazon. If you don’t have time to listen to the full event, we’ve captured some of the most important takeaways below. Takeaway 1: Customers come first on Amazon. While the shopper is central to any brand or retailer, Amazon has taken it on as a companywide value. Ensure that your content and the experience you build puts a buyer mindset front and center. Takeaway 2: Every day, every SKU is competing across several elements for top sales rank on Amazon. There are dozens of factors that could impact your search results page listing on Amazon and your product page conversion rate. Takeaway 3: Amazon Marketing Services is an important way to drive discoverability. We’ve talked about how your content can drive discovery in the past. Mark elaborated on how brands strategically use AMS spend to drive traffic to their sites as well. Takeaway 4: A+ Content and Amazon Brand Stores provide unprecedented opportunity to build your brand. 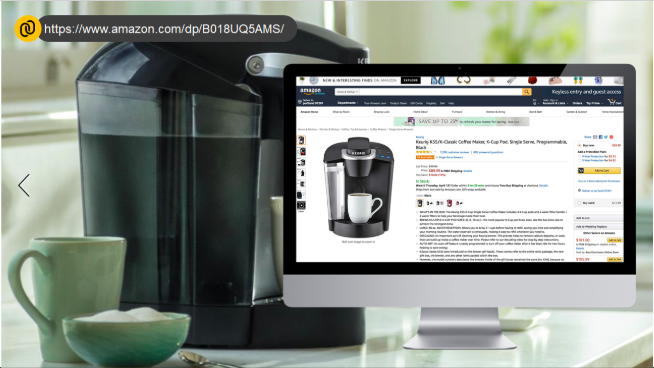 Here’s just one example, how Keurig coffee has used it’s A+ Content and Brand Store to demonstrate product features and quality on Amazon. Mark shared several examples of creative ways brands can build immersive experiences online. Takeaway 5: Amazon.com is a trusted source of product information. When planning your strategy and resources bear in mind the impact that product information found on the site can have beyond your direct sales through the site. 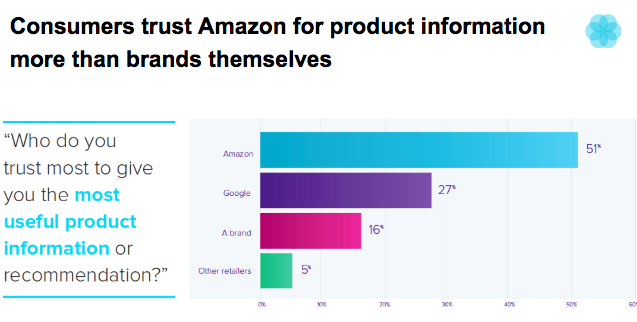 Amazon has grown as a first-stop destination for many buyers when it comes to product research and may impact your online sales on other channels as well as offline sales.